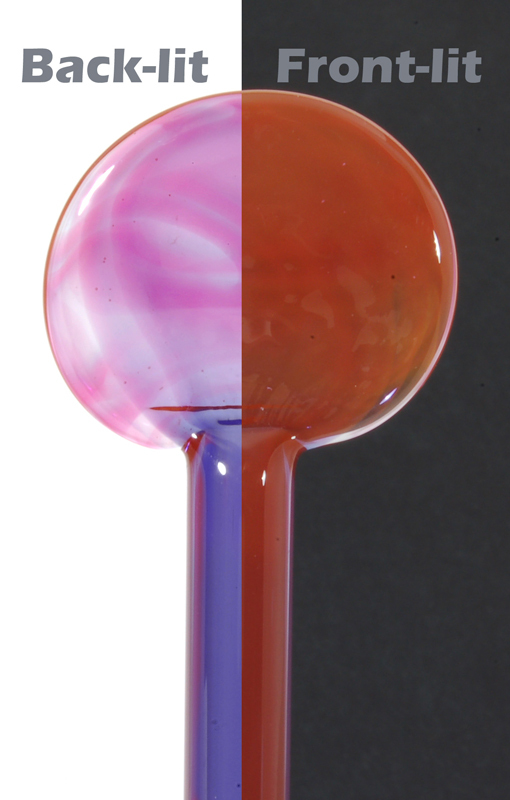 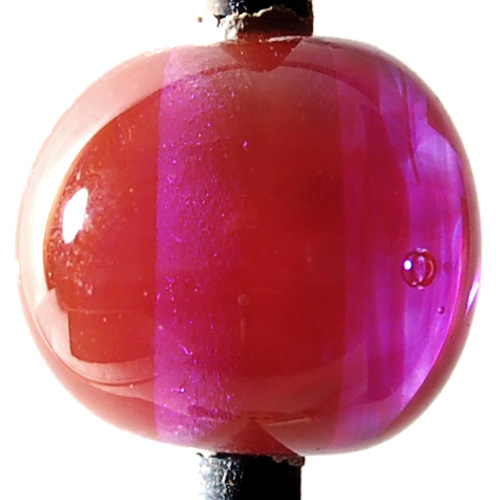 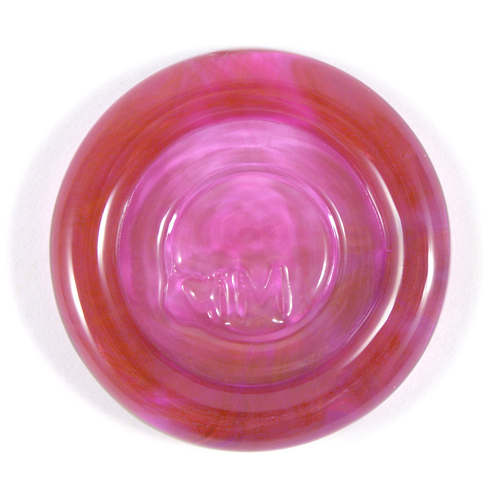 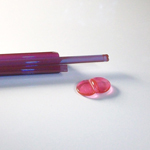 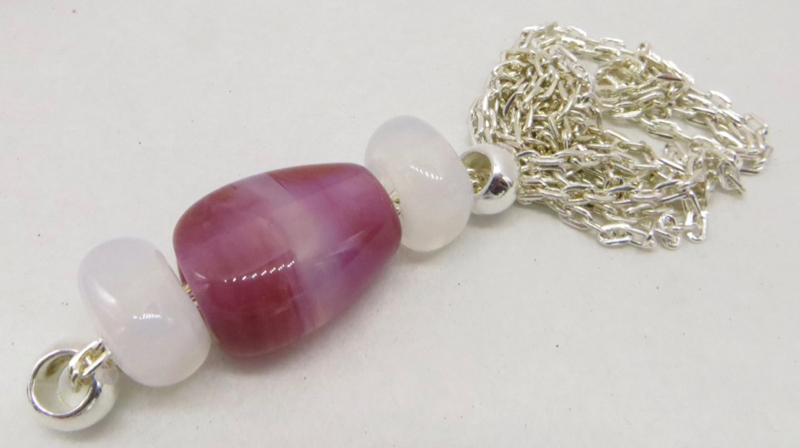 A transparent lavender blue in rod form, hot pink when worked. Click here for other interesting Razzleberry Ltd Run discoveries. 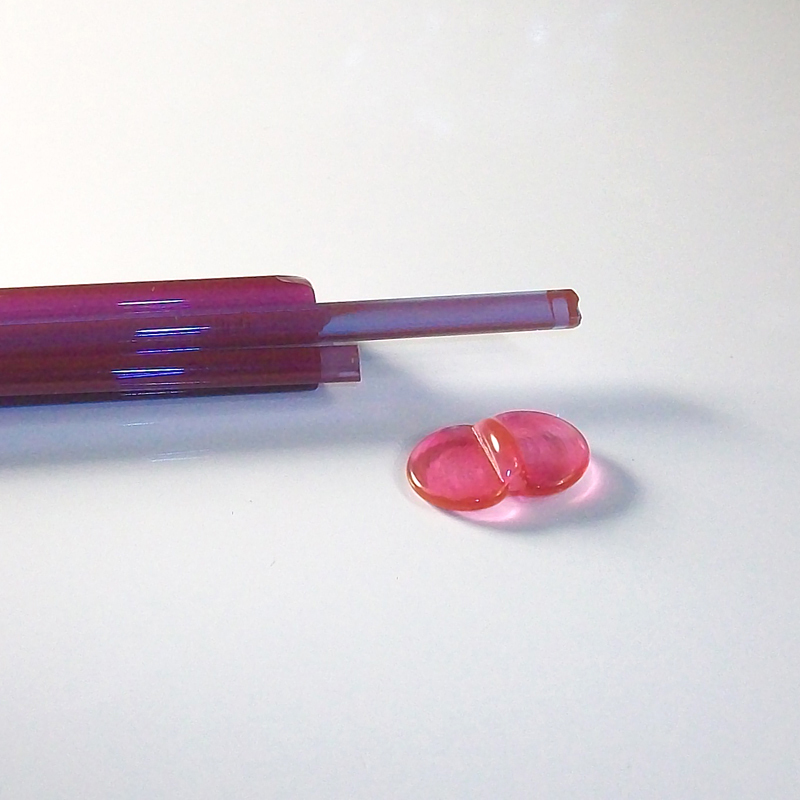 Razzleberry rods have a blue hue but work out to a transparent pink. 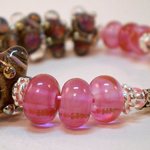 Special thanks to Genea Crivello-Knable & Pat Frantz for providing the photos in this section. 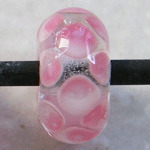 "Base of clear, dots of white covered with Razzleberry." 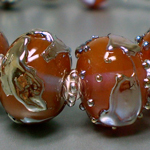 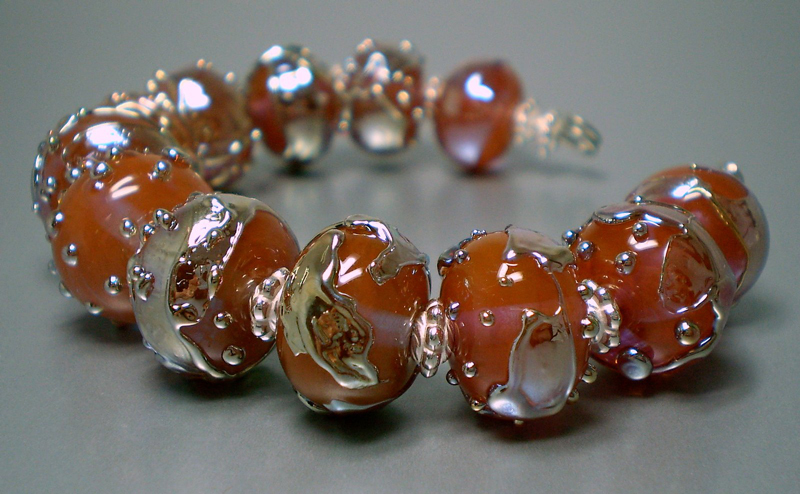 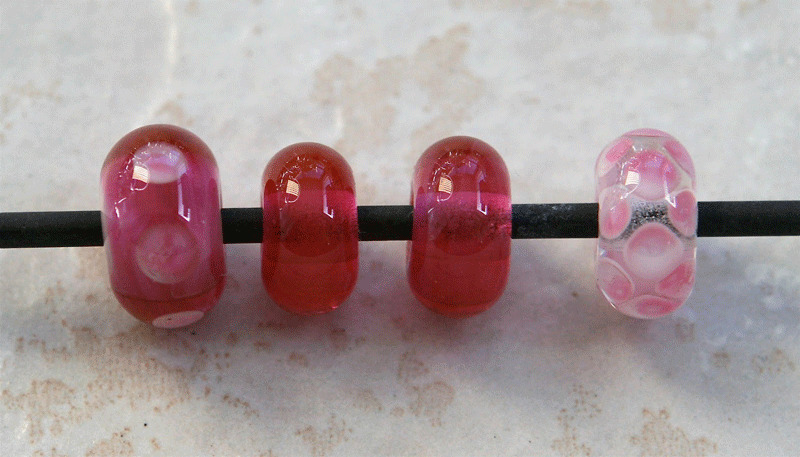 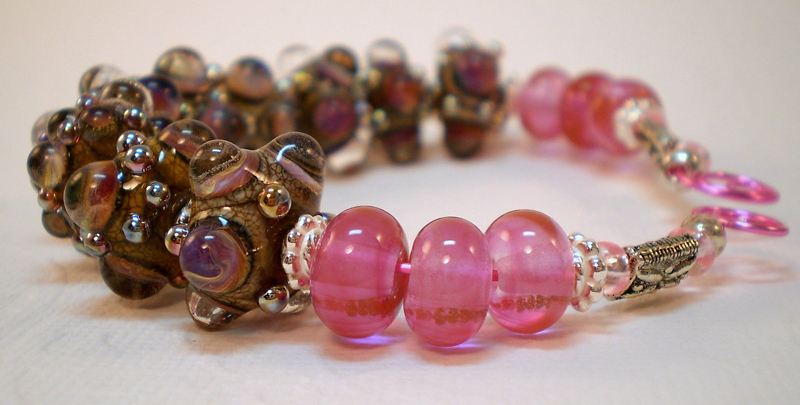 See more Razzleberry beads at Chris' blog.